This week we been making a new piece for Ultima Contemporary Music Festival. WP 19.September at Victoria in Oslo. We are recording our new album with Parallax & Anne Hytta in October. 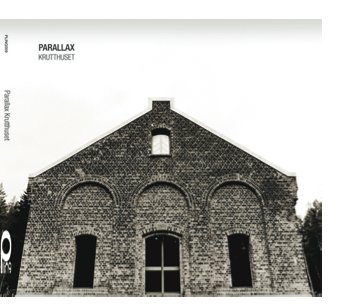 Parallax & Anders Tveit is touring in US and Canada in November. «Noriaki»-ceremony is touring in Norway in November-December. (more info at calender). New project, «Lyden av Aurora». Touring Hordaland, west coast of Norway with this great people, 6.-22.February. Øyvind Skarbø – drums, Sigbjørn Apeland – harmonium, Fredrik Rysjedal – animation film. 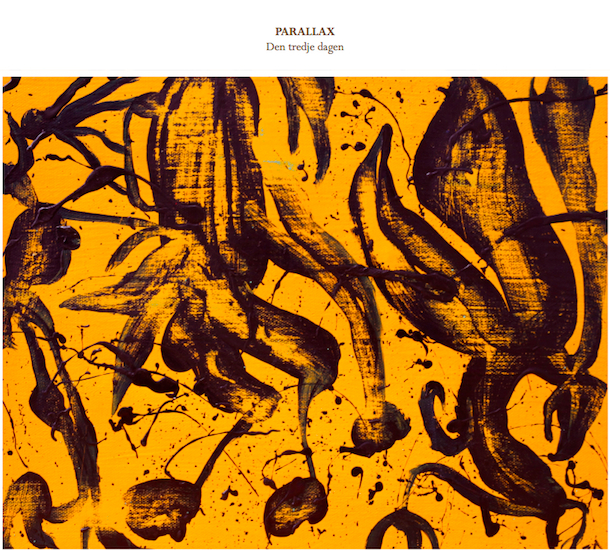 Parallax in Emanuel Vigeland, 9.-10.Dec. Parallax and lightdesigner Elisabeth Nilsson is doing 4 shows in the fantastic room, Emanuel Vigeland Museum, 9.-10.Dec. This is the 3 th time we perform in this room, and we love it. NEXT: Parallax & Anne Hytta, Tour at Færøyene, 23.-27.August. Doing the tea-ceremony with Karin Augusta Nogva and Endre Ruset next week. Great people – great show. I love to do this ceremony that fits perfect for my musical sounds. I´m so happy to release this album 22.January 2016. I hope you like my new music ! We starting with two shows in the fantastic Emanuel Vigeland Museum tonight. The room have around 20 seconds of reverb, perfect for our music. And with the lights I hope it will be a magic experience for us and the audience. I´m home aften a great week in the great Japan. Fantastic land, – food, – poeple, – tea, – sake, – nature, – fast train, etc. Thanks to Misa Wakabayashi for organizing the tour. And special thanks to Michiyo Yagi and Yumiko Tanaka for their great sound that brings Parallax forward in the way to make new music. I´m so happy to touring Japan the next week, together with Parallax and amazing guests. Parallax starter et nytt og spennende samarbeid med komponist og musiker Anders Tveit denne uken, og spiller konserter i Oslo, Stavanger, Bergen og Moss de neste 2 ukene. Velkommen skal Dere være Damer og Herrer ! Studio on the island of Giske near Ålesund in Western Norway. Starting with some simple sketches and structural ideas, we developed, together with Waring, the material on this record in an exciting, creative, and educational process. What is new here, for Parallax as an improvising ensemble, is that we utilize the possibilities of the recording studio for editing, overdubbing, and sonic manipulation. Our thanks to Rob for the fine collaboration. Its many years since last time, but next week you can see a new concert with Øyvind Skarbø and Stian Omenås – duo. 25.November, 21:00. 100 NOK. House of Foundation in Moss. Line up: Marit Kaldhol (poetry), Stian Omenås (trp, percussion), Audun Skorgen (guitar). 3 shows, Thursday 25 September. Ålesund, here I come ! “Not a lot happens it must be said. But the pleasure is to be gained in the way the ensemble manage to keep their hazy, languorous interplay alive as squally clarinet and unsettling horns cycle through the harmonic undergrowth to jostle unsettlingly. Recorded last summer in Norway the shorter B-side pieces are just the trio stark in their repose but complement the longer piece with the wind ensemble well, and this stimulating album has a logic to it as well as plenty of ideas”. (Marlbank, April 2014). “Fortsatt ulikt alt annet (terning: 5) …… Omenås følger lojalt dramaturgien og dynamikken i trioopptaket, og er innledningsvis harmonisk/melodisk «snill» før han øker dramatikken og abstraksjonsnivået fram mot klimaks og påfølgende nedroing. I hans godt tenkte og utførte versjon blir «18:16» et samtidsmusikalsk mini-orkesterverk, der trioen rett nok ofte forsvinner i ensembleklangen, men der helheten er rik og med henvendelseskraft til å forsvare hvert av de 1096 sekundene verket varer”. (Dagbladet v/Terje Mosnes, mai 2014). “It’s a dramatic hot air balloon flight, and the brass and woodwind sidle past me like wispy, cotton wall condensation, playfully nudging the yaw of my drift in grand chicanes across the skyline. Tiny breaths and clunking buttons sound like the vintage creaks of my wooden basket, or the ropes and leavers knocking against the framework – it’s an idyllic and colour-saturated opening, and perhaps it’s my own fault for being so blissfully oblivious to the streaks of grey thickening across the cloud perimeters. In the absence of any rhythm to cling onto, I float into the dissonance that curdles surreptitiously into being like an unforecast summer storm, as violins turn from glossy ribbons into sharp fizzles of lightning; just as I feel helplessly swallowed up by the atmosphere that tilts from light into dark (and eventually back again), the players on A/B tumble into the black as though unable to stop themselves, puppeteered by a momentum that becomes increasingly vigorous. “Für ‚18:16‘ tat sich das Trio zusammen mit einem von Stian Omenås dirigierten Bläser­quintett: Fredrik Ljungkvist an der Klarinette, Sofya Dudaeva an der Flöte, Hanne Liland Rekdal am Fagott, Erik Johannessen an der Posaune und Mattias Wallin am Tenorhorn. Die Klarinette stimmt im Kontrast zu den nur dämmrig und schlaftrunken summenden Tieftö­nern ein Sonnenaufgangstirili an, dem dann doch auch Fagottgesang zustimmt und allge­meines Munterwerden. Die Bläser finden zu einem Unisonochor zusammen, den jedoch ein nicht mehr enden wollender Harmoniumshalteton aufscheucht und gegen die Störung protestieren lässt. Erst nach 13 Minuten pocht Skarbø seine ersten Schläge, vereinzelte und monotone, auf die zage Geigenstriche antworten. Die Bläser bilden einen gedämpften Saum, aus dem sich die Posaune mit sonorem Gesang erhebt und die Flöte mit sich zieht. Bis zum sanften Ausklang dieser Impression, dieses Stimmungsbildes, das, so subtil es auch die naturromantischen Saiten zupft, doch deutlich Morgenluft aus Wiesen aufsteigen­den lässt. ……. Sohlen, das tagträu­merisch verstrichene nebulöse halbe Stündchen ganz elegisch verdämmern”. “GOD ÅRGANG .….. “1982 har denne gang tatt utgangspunkt i gamle tiloversblevne improvisasjoner, som så er gitt til trompetist Stian Omenås som har skrevet ny musikk. Dette stykket, fremført av en kvintett bestående av blant andre Fredrik Ljungkvist (Atomic), er så morphet inn i det gamle opptaket. ……1982 har meislet ut sin egen hylle i stein i den åpne klassen, og det er alltid spennende å se hva de legger oppå den”. “1982 + Stian Omenås = sant. Dette er resultatet av at nokon vågar å la ville idear bli røyndom. Denne gongen har dei invitert Stian Omenås til å skriva blåsearrangement til «18:16», som i beste 1982-stil både er lengd og tittel på låten. Utgangspunktet Omenås hadde, var innspela improvisasjonar frå 1982. GÅSEHUD. Musikken til Omenås framstår meir som ein sjølvstendig komposisjon enn blåsearrangement til ein improviserande trio, men spanande musikk er det blitt, lell. Det er parti der blåseensemblet spelar oppå og rundt Apelands orgelklangar som gjev gåsehud rett og slett. …… “Å involvera Stian Omenås var eit sjakktrekk. Ei svært vellukka utgjeving”. (Dag og Tid v/Lars Mossefinn, mai 2014). “Med sitt nye album «A/B» har den improviserande trioen 1982 teke eit nytt kvantesprang. Utført med seg sjølv på «B»-sida, i eit todelt album der første del er i regi av trompetisten, komponisten og arrangøren Stian Omenås, som med innspelt musikk av trioen har laga musikk for ein blåsesekstett som vert lagt opp på dei opphavlege improvisasjonane. …. «A»-laget er blåsesekstetten Fredrik Ljungkvist frå «Atomic» og Eric Johannesen frå Jaga Jazzist, med Sofya Dudaeva (fløyte), Hanne Liland Rekdal (bassoon), Mattias Wallin (tenorhorn) og komponist og trompetist Omenås. På to gonger litt over eit kvarter (33 min) er resultatet frapperande ….. Det gjer resultatet overveldande”. (Dagsavisen, mai 2014). ….. “The A-Side features just one lengthy piece. Hence the title 18.16. It was penned by Sigbjørn Apeland, Øyvind Skarbø, Nils Økland and Stian Omenås. This piece is seen as the most innovative piece of music 1982 have recorded. Stian has composed and arranged a piece for a wind sextet. It’s another layer of music that sits atop the original improvisation. ……. The result you’ll realise, when I tell you about A/B, is one of the most groundbreaking pieces of music 1982 have ever recorded, 18:16…..
18:16 opens A/B, 1982s fourth album. It’s understated and ethereal as it reveals its subtleties and nuances. A harmonium, violin and wind instruments play gently, They play with care and subtlety. The arrangement meanders along, gradually unfolding. Soon, a clarinet enters. It adds an element of drama. Meanwhile, scratchy fiddles add a melancholy sound. 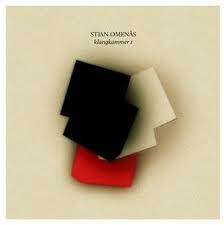 By now, everything from ambient, avant garde, classical, experimental and jazz has been combined. Later, 1982 add their unique improvisational twist to the track. When free jazz enters the equation, the track veers between haunting, to eerie, disturbing and dramatic. Much later, the arrangement is spacious and pensive, before returning to a an understated, ethereal and wistful sound. This results in an epic track, one that’s ambitious, challenging, dramatic and groundbreaking. So much so, that it’s career defining track for 1982 that’s a game-changer as far as they’re concerned. …. A/B, which is the fourth album from Norwegian improvisational trio 1982, is without doubt, the best album of their career. Flawless describes this Nordic minimalist epic. So does innovative, understated, wistful, melancholy, dramatic, dreamy, eerie, beautiful, broody, moody and haunting. A/B are all these things and more as 1982 seamlessly, mix musical genres. Everything from ambient, avant garde, classical, drone, experimental, free jazz and jazz is combined by 1982. The result is A/B an album of groundbreaking sonic journeys. A/B’s centrepiece is 18:16, the album’s Magnus Opus. It’s a collaboration with a wind sextet. This collaboration was one of the most ambitious pieces of music 1982 have ever recorded. Quite simply, it’s a groundbreaking piece of music that for 1982, will be game-changer. 18:16 is also a career defining track. It’s what everything else 1982 produce will be compared to. However, there’s more to A/B than 18:16.” (Derek Anderson/www.dereksmusicblog.com, May 2014). Norsk kvalitet som yter motstand. (terning: 5) .…. “De har med seg seks blåsere og har fått trompetist og dirigent Stian Omenås til å skrive og arrangere med utgangspunkt i trioens innspilte improvisasjoner. Resultatet er både utfordrende og fornøyelig. Det er det første, lange sporet 18:16 som byr på mest nytt. Der er det kun rester igjen av 1982s skumringsdans. Blåsearrangementene trekker musikken mot et lysere felt der gnuringen ikke rår grunnen alene. Omenås og blåserne formidler en nøktern lystighet, uten å svike bandets dragning mot det gråskimrende. Dette tilskuddet til 1982-soundet fungerer godt, ….. Det er både oppsiktsvekkende og hyggelig å høre hvordan den norske musikkscenen fortsetter å produsere kvalitet på dette feltet.” (Aftenposten, mai 2014). Mektig impro. En forsterket improtrio utforsker og overrasker. (terning: 5). ….. “Deretter har Stian Omenås ledet seks blåsere som har improvisert over dette. Både treblåsere og messing kompletterer de svevende musikalske landskapene som 1982 spilte inn like før studioet i Grieghallen ble lagt ned. Resultatet er en lang reise i stemninger, en utforskning av klanger og harmonier som har både lysere og mørkere sider. Denne delen av albumet skiller seg ganske markant fra «B-siden», der trioen er alene.” (Bergens Tidene, mai 2014). … “Omenås captured beautifully the emotional, melancholic atmosphere of the original improvisations and succeeded to form an organic interplay between the improvising trio musicians and the latter, expanded arrangement. He restructured the piece as a subdued and nuanced chamber suite, adding to the intuitive, spontaneous piece more colors, dramatic dynamics, and depth. His meticulous arrangement solidifies the Nordic folk and spiritual references of the 1982 sound, but within a broader, contemporary context”………… (All About Jazz, May 2014). (Terning: 4.) “Få perfeksjonerer det stillestående og ambiente bedre uten hjelp av elektroniske hjelpemidler. Her er de utvidet til et lite kammerorkester, på platens 18 minutter lange åpningsspor. Det er tilpasset en hel LP-side og hvisker seg frem til en stille akustisk finale, en konklusjon som i kraft av den absolutte sendrektigheten i forkant føles som om den smeller. Egentlig er den like nedpå som de fem neste navnløse sporene. ….. Etter 34 minutter føler man likevel at platen er over litt for tidlig”. (VG, mai 2014). Sjangerblindhet lenge leve. (terning: 5)….«18:16» beveger seg framover i det som oppleves som ulike soner. Den åpner med blås i harmoni, i noe som kan minne om et arrangement av den nå avdøde komponisten og jazzmusikeren «Butch» Morris. Men denne jazzaktige starten vedvarer ikke. Sakte og tålmodig glir den over i et annet landskap, før de så gynger inn i en ny sekvens. Noe er nesten sakralt, så merker man en anelse uro, der skarpe feletoner settes opp mot en obo, hamrende trommer kommer inn, før en slags resolusjon nås mot slutten. …… (Klassekampen, mai 2014). Godt Nytt År / Happy New Year ! Parallax kommer forhåpentligvis med 2 nye plater i 2014. En innspilling fra Ocean Sound på Giske med Rob Waring som produsent, og innspillingen med Hong Kong New Music Ensemble. Mer info kommer ! Dirigentsesongen min er også godt igang med Bestum Stasmusikk, som holder konsert i Oslo 2.februar. 16.-17.11 er jeg profilmusiker på Ny Musikk Østfold´s arrangement HøstRiss 2013. 16.11: Arena, Moss kl.15. Spiller 2 stk duoer. Først akustisk med Harald Aadland (piano), så elektronisk med Erik Wøllo. 17.11: EPA, Sarpsborg kl.17. Spiller konsert med PARALLAX m/elever fra Sarpsborg Kulturskole. VELKOMMEN ! Crab is Crap – denne uken ! Barneforestillingen med Øyvind Skarbø (trommer), Øyvind Hegg Lunde (trommer) og meg (trompet/perk) spiller på verdens største trommesett. Arr: den kulturelle stamvegen/vestnorsk jazzsenter. Velkommen ! Det er høst igjen ! Mine hovedprosjekter i høst er min komposisjon til Trio 1982 som skal spilles inn i Rainbow Studio i Oslo i september og gies ut på plate i 2014. Jeg har også konserter med min Stian Omenås Kvartett (m/Waring, Eilertsen og Nylander) i Norge + Norgesturne og Europaturne med PARALLAX. Hedmark får DKS besøk av Lydrommet i November. Bestum Stasmusikk som jeg dirigerer holder Gospel-konsert med Tricia Bouteé som solist. Og mye mye mer 🙂 Følg med ! Parallax er en norsk improvisasjonstrio, og en av norges mest aktive med ca 80 konserter i året over hele verden. Alt om oss på www.parallax.no. På vår turné i Kina i 2010 møtte vi i Hong Kong, William Lane – musiker og leder av Hong Kong New Music Ensemble. Etter å ha hørt musikken vår og vist sin store begeistring for den, tok han initiativ til et samarbeid. William Lane bestilte så et bestillingsverk for sitt ensemble HKNME (Hong Kong) og Parallax (Norge). Komponisten ble meg, Stian Omenås (33) – musiker og komponist, bosatt på Jeløy i Moss. Jeg fikk bestillingsverkstøtte til dette fra Komponistenes Vederlagsfond, og har nå et spennende verk liggende klar. Dette blir et møte mellom Østlig og Vestlig musikk, der noe av materialet er gjennomkomponert og noe er improvisert. Besetningen er: klarinett, fagott, harpe, perkusjon, fiolin, bratsj, trompet, trommer og gitar. Verket skal i Hong Kong øves inn over 2 dager, og Urfremføres på Southsite i Hong Kong 28.mai 2013. I tillegg til dette gjør Parallax 3 triokonserter i Macau, Guangzhou (Kina) og Singapor (Malaysia). Altså en innholdsrik tur for Parallax, som i 2013 mottar ensemblestøtte fra Norsk Kulturråd for sin høye kvalitet og stabile aktivitet. Turneen er støttet av Norsk Kulturråd, UD og Norsk Jazzforum. Strykekvartett nr 1, «Paris» ble skrevet til Ålesund Strykekvartett og urfremført av samme ensemble på KUBE i Ålesund i 2008. «Paris» er også blitt fremført i Stordal og Valldal på Sunnmøre (2009), og nå altså i Moss. Verket består av 6 satser og er oppkalt og innspirert av de ulike pulserende Metro-stasjonene i Paris. Verket ble også delvis komponert i byens komponistbolig ved Pigall våren 2008. Kromatikk, minimalisme og balansegangen mellom det tonale og atonale er viktige inspisasjonskilder og gjennomgående i verket. Omenås Musikkfestival – takker for seg ! Omenås Musikkfestival har vært en spennende reise i hele 10 år ! Lengre en jeg hadde drømt om da jeg som ung jazzstudent i Trondheim startet opp festival i Valldal i 2004. Festivalturneen er idag unik med sin presentasjon av ung norsk jazz, klassisk, pop, folkemusikk og andre beslektede sjangere. Alt på en kveld i et akustisk intimt lokale der artistene og publikum sammen skaper den magiske stemningen. Men alle eventyr har en ende, også denne festivalen. Grunnet stadig tettere program som dirigent, musiker, komponist og familiefar har jeg nå tatt valget om at Omenås Musikkfestival dessverre er historie etter årets festival som arr neste helg, 28.feb-2.mars. Festivalen vil takke alle støttespillere, artister og publikum gjennom de innholdsrike 10 årene. Jeg ser fortsatt en viktighet og nødvendighet av at det blir presentere smalere musikksjangere og kunstuttrykk på Sunnmøre, og håper og tror nye krefter kan videreføre denne trenden gjennom egne prosjekter. Uansett kommer selvsagt Mr.Omenås på musikalske ærend også i fremtiden, men da ikke i regi av Omenås Musikkfestival. Så benytt sjansen nå og få med deg årest festivalkveld !! Farvel norsk vinter ! Tar 3 komposisjonsdager i Roma. Har kommet igang med Hong Kong-verket, men mye jobb gjenstår. Tar tak i et meget spennende prosjekt med Øyvind Skarbø og hans trio 1982 også (www.1982trio.com), der jeg skal komponere blåsekvintett til allerede eksisterende innspilt improvisasjonsmateriale. En ny fremgangsmåte som åpner nye muligheter – an av mange geniale Skarbø-streker. Takk ! Ikke glem Omenås Musikkfestival, 28.feb-2.mars. Bare en måned igjen 🙂 Hadde en hyggelig øving med min nye trio idag med Audun Ellingsen og Erik Nylander, og vi er i rute til festivalen. Billetter kan forhandskjøpes på spillestedene – løp å kjøp ! Et innholdsrikt 2012 er snart over. Med 2 plateutgivelser, innspilling av ny plate, mange turneer, komponering av bestillingsverk og mange andre spennende prosjekter ser jeg fornøyd tilbake på 2012. Men som et kreativt og skapende vesen tenker jeg nå selvsagt fremover og på det nye året 2013. Mine hovedprosjekter blir komponering av bestillingsverk til Hong Kong New Music Ensemble (HK) og Parallax Trio (Norge). Verket skal øves inn, spilles på 2-3 konserter og gjøre lydopptak i Asia i mai 2013. 28.2-2.3 er det 10-årsjubileum for min meget personlige festival, Omenås Musikkfestival Turné. Mer info under. PARALLAX skal slippe plate og turnere i Norge og Europa + DKS-konserter med LYDROMMET i Akershus, Trøndelag og Hedmark. Omenås Klangkammer skal på turné høsten 2013 og spille inn ny plate etter turné. Mer info kommer. DA ER DET BARE Å TAKKE ALLE VENNER OG SAMARBEIDSPARTNERE FOR MAGISKE MUSIKKSTUNDER I 2012 OG HÅPE PÅ NYE I 2013. Med fokus på artister fra Sunnmøre gjør Omenås Festival-turné nr 10, 28.2-2.3.2012. Spillestedene er Invit/Ålesund, Fjellro/Valldal og Kaffikari/Ulsteinvik. Musikken har et kammermusikalsk utganspunkt og skapes i rommet – og med rommet som en viktig medmusiker. Repertoaret består av et utvalg korte lyriske stykker, skisser, koraler og rytmiske ideer av Omenås, noen rene improvisasjoner, og en komposisjon av Mats Eilertsen. Uttrykket varierer fra fri improvisasjon til konkrete tema og harmonier. Felles for alt er en lyrisk identitet – igjen kammermusikalsk, i et vandrende og spennende friksjonslandskap. Improvisasjonstrioen PARALLAX slipper sin andre utgivelse «Krutthuset» (Pling Music) 6. januar 2012.